Leadville is, first and foremost, a mining town, from the silver that created it in the 1880s to the gold, lead, zinc, copper, and molybdenum that have sustained it while other Colorado mountain boomtowns turned into ghost towns or became ski resorts. 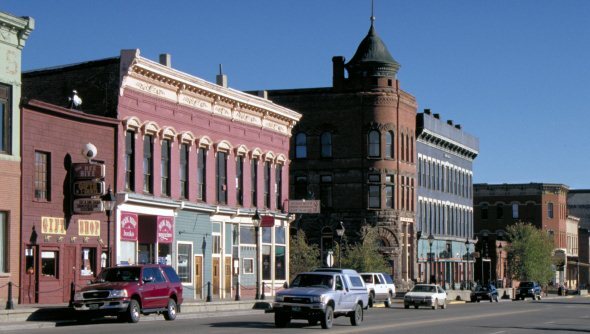 The legacy of the silver boom can be seen in the historic, three- and four-story brick buildings that line Harrison Street in the heart of Leadville and the historic homes that dot the neighboring blocks, which are recognized in the Leadville Historic District. It also can seen in the name Tabor on the opera house, hotel, and home that are still standing more than a century after shopkeeper Horace Tabor made a $9 million fortune with the silver mines and invested much of it back into Leadville, only to lose everything when his overstretched empire collapsed with the silver crash of 1893. Leadville’s mining industry remains in the form of the Climax mine north of town, which has been the world’s leading producer of molybdenum for the steel and aircraft industries and is expected to reopen once the nation’s economy recovers. But Leadville also has built a tourist business with its history and its recreational opportunities, including hunting, fishing, and four-wheel-drive touring, mountain biking, running, and skiing. It also retains bragging rights as the nation’s highest incorporated city, at 10,152 feet above sea level. Land area: 1.1 square miles. Altitude: 10,152 feet above sea level.